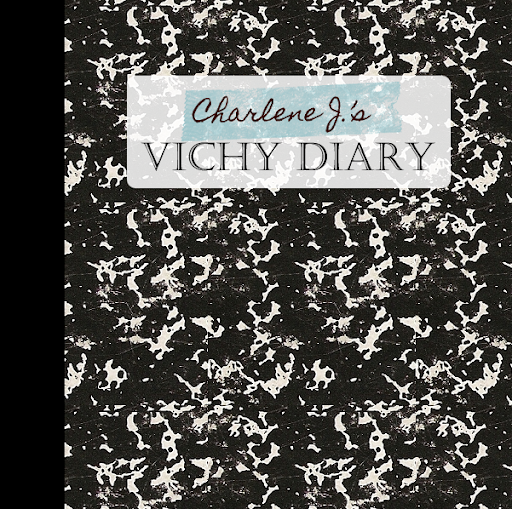 So anyway, scroll on down and take a peek into my Vichy diary! 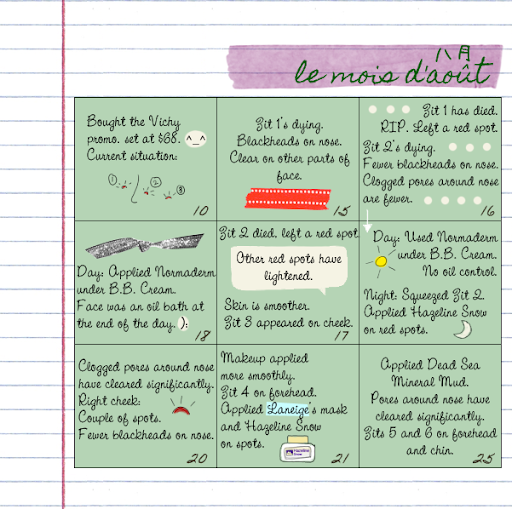 For this review, I kept a 'logbook' and called it, well, 'The Vichy Logbook'. Heh. I would apply the products diligently every night. When I woke up in the morning, the first thing I did was to head over to my full-length mirror, observe my pores and then, jotted down whatever I noticed. Haha. It was great fun conducting this beauty experiment! Having attended a couple of Vichy's workshops (Read about them here. 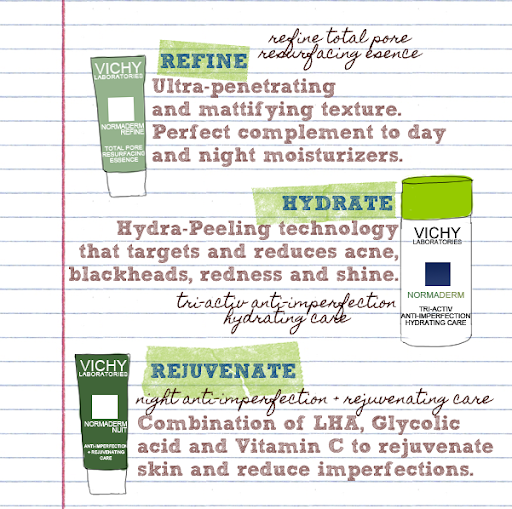 ), I was actually thinking of making the 'big switch' to Vichy for my skincare regime. But their products aren't cheap, so when I came across this deal, I, being a (poor) total skincare junkie, had to buy it! Pore Micro Peel: Micro-exfoliates accumulated dead skin cells. Gentle on the skin. Pore Firming: Clears excess sebum and firms the skin to tighten pore structure. Hydration: When dehydrated, skin cannot regenerate properly and the dead cells accumulation on its surface creates imperfections. Mattification: Any sebum excess can be oxidized by UV rays, creating irritations at the source of even more imperfections. LHA + Glycolic Acid: 'Peeling' active molecules. Vitamin C: Regenerating in a daily watery-texture care. I'm perfectly happy with the packaging. The amount of product dispensed is entirely under your control, it's completely hygienic and the packaging isn't anything that's shabby. The only thing that I have noticed is that for the Tri-Activ Anti-Imperfection Hydrating Care, the product nearest to the opening of the pump hardens. So when you pump the product out, there is usually a small lump. But I don't think it affects the product in any way. All 3 products have fresh, light cucumber scents, though they vary in strength. The Refine Total Pore Resurfacing Essence and Night Anti-Imperfection + Rejuvenating Care smell a little more like chemicals, while I really don't mind if they make a body spray out of the Tri-Activ Anti-Imperfection Hydrating Care. Heh. 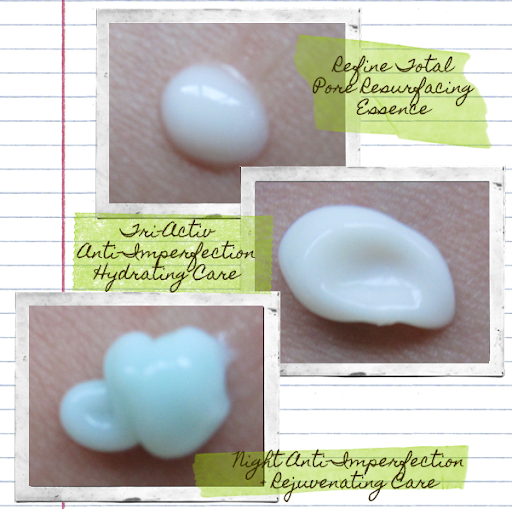 All 3 products are absorbed by the skin easily and leave a mattified texture. I applied the Refine Total Pore Resurfacing Essence before the Night Anti-Imperfection + Rejuvenating Care. At the end of the 'study', I didn't notice any reduction in the appearance of pore size. Yes, my 'study' didn't last for a month but I do think it's a little of a tall order to make the above claim. Pore sizes, according to some (scientific) studies, can't be reduced. Products can only make your pores cleaner and in this way, make them appear smaller. This is a product that I will do away with. This is indeed hydrating, as it claims to be, and it's something which I'm glad about. In a nutshell, it's a zit-zapping moisturizer! I don't have to worry about applying too many products on my face, seeing that some zit-fighting products can be extremely drying. The mattification department, however, needs to be worked on. I oil up as per normal, so it was disappointing in this aspect. It would be better if it had some SPF in it as well. However, if you're looking for an all-in-one product here, you may want to look somewhere else. As seen from my diary entries, the red spots left by the zits only lightened when I applied Hazeline Snow. Also, I do find this a little slow in its battle against zits, though it definitely wins the zap-those-clogged-pores war. One thing to note is that I used Refine Total Pore Resurfacing Essence and Night Anti-Imperfection + Rejuvenating Care together, but I evaluated the products based on what they claimed their functions were. Whilst using these products, I can't help but think about my Eucerin's Creme Gel (Read my Eucerin entries here.). Eucerin didn't help me get rid of the clogged pores round my nose area, but it kept my complexion clear and even. I like it that the Vichy products contain salicylic acid, which proved to be my hero in my teenage years (Eucerin contains lactic acid.). But as much as I love the Tri-Activ Anti-Imperfection Hydrating Care and Night Anti-Imperfection + Rejuvenating Care, I blanch at their individual prices. What I'm thinking is that I will use them once every 2-3 days and on the other days, I stick to my old skincare regime (Read about it here.). Just so that I will be kinder to my very broken pockets. Heh. I stopped recording on the 15th day because I'm feeling pretty stressed out right now by school, future and the ilk, which has led to a little breakout. I don't attribute this to the Vichy products at all because I do break out when I get very stressed and I know it.